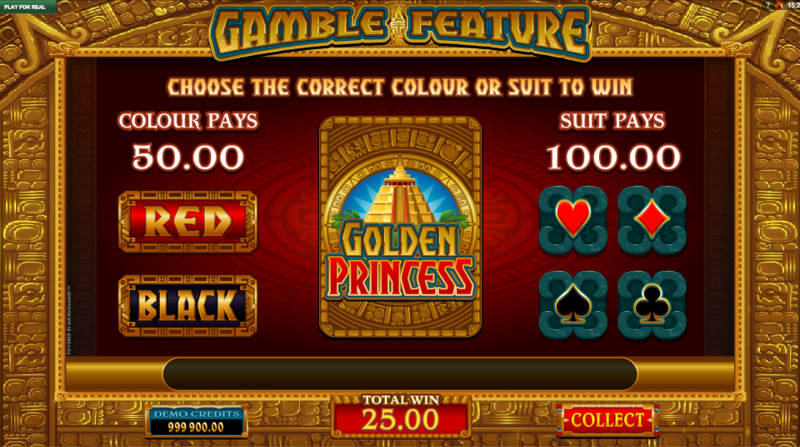 There’s a touch of fantasy about this new online slot from Microgaming; it’s called Golden Princess and while we’re a little sketchy about the theme here there’s a lot of gold, what we think are some Aztec designs and of course the princess of the title. It won’t be the first Aztec-themed slot we’ve played but read on to find out how to play it and what we think. Golden Princess is a five reel slot with three rows and up to twenty five paylines; in design it’s reminiscent of older Microgaming releases in which the symbols take up all available screen space, leaving very little room for anything else. In fact gold designs surround the reels to complement the gold which turns up everywhere else. The four higher value symbols are a puma, a leopard, a male character and the princess; lower values are the standard 10.J, Q, K and A. 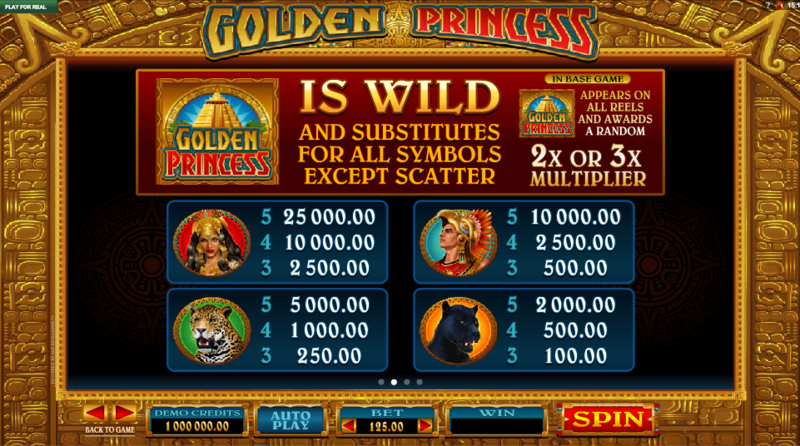 The Golden Princess logo is wild and will add a 2x or 3x multiplier if it contributes to a base game winning combo. The scatter symbol is a treasure chest which activates the main feature. We can’t offer much in terms of gameplay but we would advise steering clear of the gamble feature – it will usually end in tears. There’s nothing particularly wrong with Golden Princess but we didn’t find it that exciting or creative. 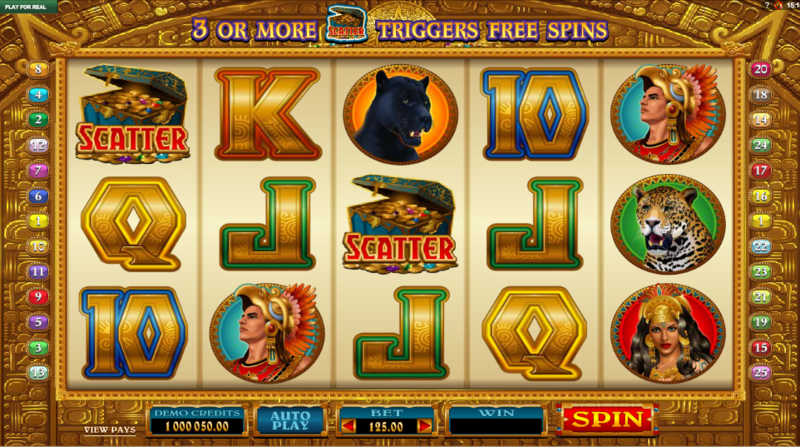 It’s a high variance slot so your wins will be relatively rare but lucrative when they land.